Are you struggling with striving instead of serving, or feeling lazy instead of resting? 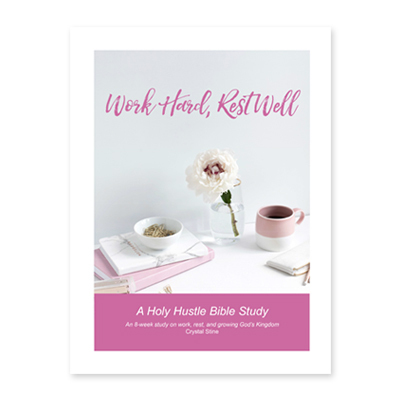 Take the quiz to find out how a “holy hustle” lifestyle can help! Balance. 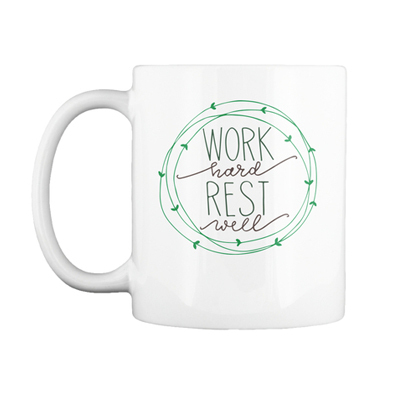 It’s what we long for in our lives as the world yells, “Work harder!” and the church demands, “Stop and rest.” What if God’s plan for us isn’t just one way or the other? "Crystal Stine is a gift. I love her heart behind Holy Hustle. I so agree with Crystal as she explains that we give our best to the work the Lord has given us to do, and we marvel as he takes our flawed efforts and brings forth fruit that only he can. You will love this book!" "From a young age, I considered slacker a far worse insult than workaholic. Believed that God condemned relaxation while condoning over-work. Considered work-life balance absurd fantasy and dismissed doing nothing as a contradiction in terms. Oh, to have met Crystal before mid-life found me burnt-out, bewildered, and bitter. She's the perfect blend of reassuring friend and challenging mentor all-or-nothing gals like me need! 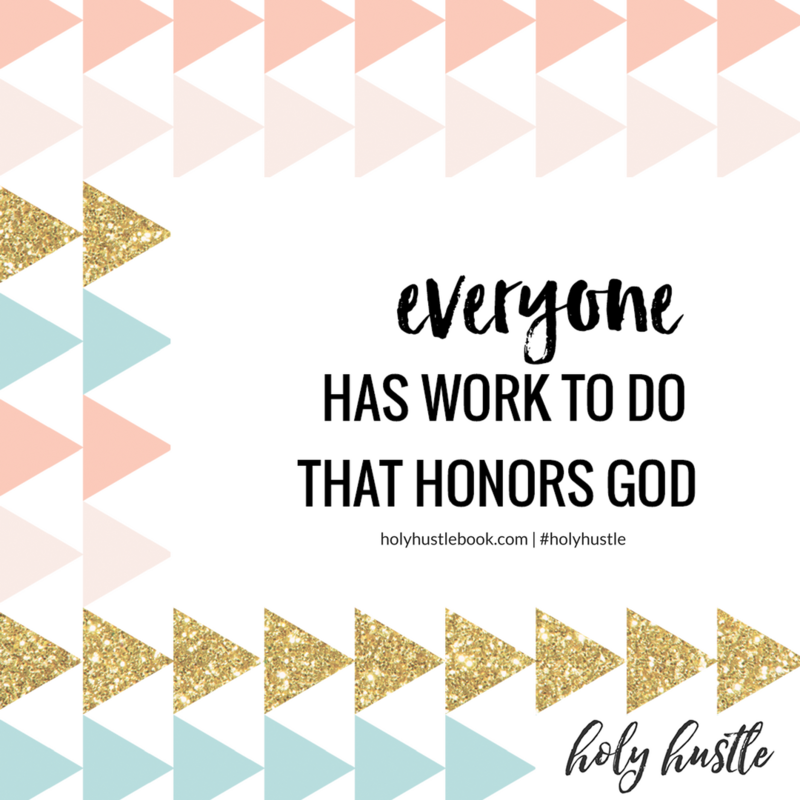 Through the pages of Holy Hustle, Crystal will equip you to strive less and serve more. You'll receive permission—and admonition—to do only what you're actually called to do. Learn how to exchange exhaustion for excitement; comparison for community. And you'll finally find the unique balance of holy and hustle God created you for." "From a young age, I considered slacker a far worse insult than workaholic. Believed that God condemned relaxation while condoning over-work. Considered work-life balance absurd fantasy and dismissed doing nothing as a contradiction in terms. Oh, to have met Crystal before mid-life found me burnt-out, bewildered, and bitter. She's the perfect blend of reassuring friend and challenging mentor all-or-nothing gals like me need! 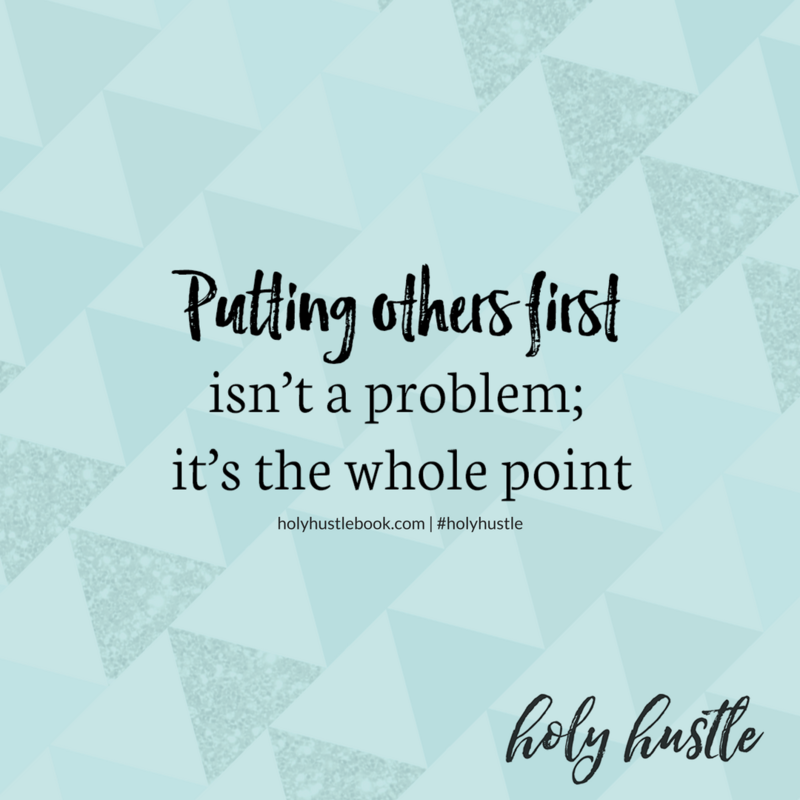 Through the pages of Holy Hustle, Crystal will equip you to strive less and serve more. You'll receive permission—and admonition—to do only what you're actually called to do. Learn how to exchange exhaustion for excitement; comparison for community. And you'll finally find the unique balance of holy and hustle God created you for." 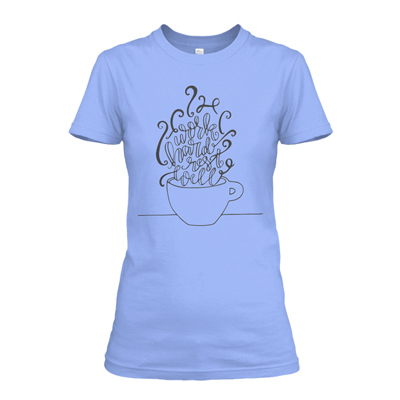 "Holy Hustle is about living life from a place of surrender instead of a place of striving. It's about realizing life is more about serving God and others than being served. It's realizing the dream God placed in your heart years ago has been given to you for a divine purpose. 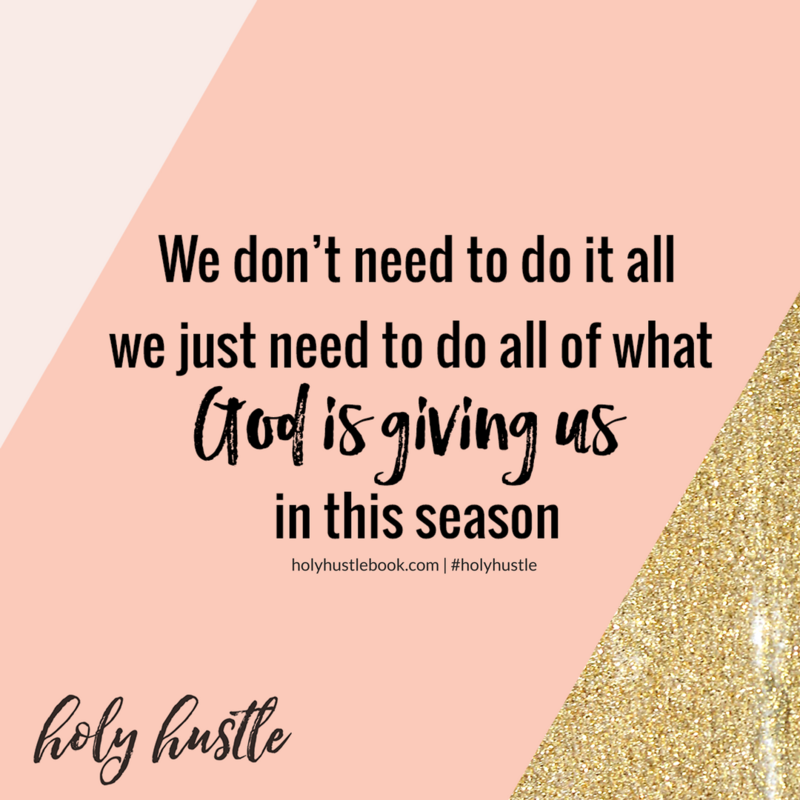 Holy Hustle helps us see that no matter what job we have, what title we've been given ... all our work can have a kingdom impact when we work and serve with surrendered hearts." 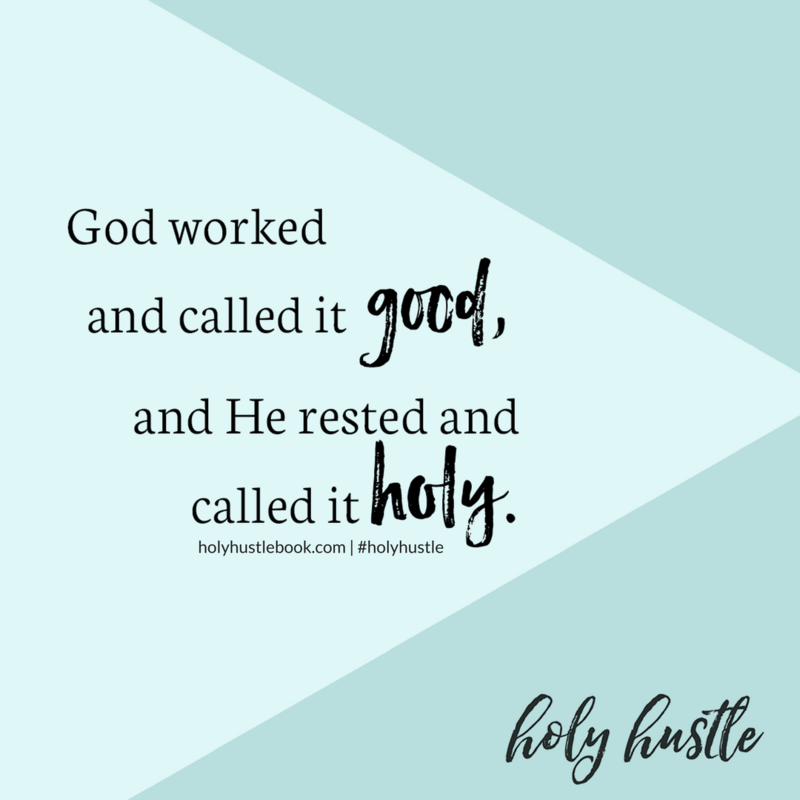 "This message is becoming my anthem as I grow a new ministry while I raise my children and love my husband and serve my community and. . .Holy Hustle is an invitation to choose another way; a better way to success. Crystal calls us to resist our urge to strive and replace it with a desire to do God's good work, finding freedom to thrive no matter what that looks like for our unique story and season." "Hustle has never been a problem for me. It’s the holy (or resting) part that remains difficult. But over the last few years I’ve been attempting to do what Crystal finally gave a perfect definition of Holy Hustle. The God-intended balance between pursuing purposeful work and rejuvenating rest. Personally, I flew through this book, highlighting paragraphs on nearly every page … it was that good!" Right click and save the images below to share!